Why pay top dollar to look like you rolled around in dog hair when you can come to my house and do it for free? 1. You carry a lint roller everywhere. Seriously – not only do you have multiple rollers at home, you also keep one in the car, one at work and, quite possibly, a mini roller in your purse. 2. You tell people not to wear black when they come over because they will leave covered in hair and if it’s harder to see then you feel like maybe the situation isn’t as bad as you think it is. 3. 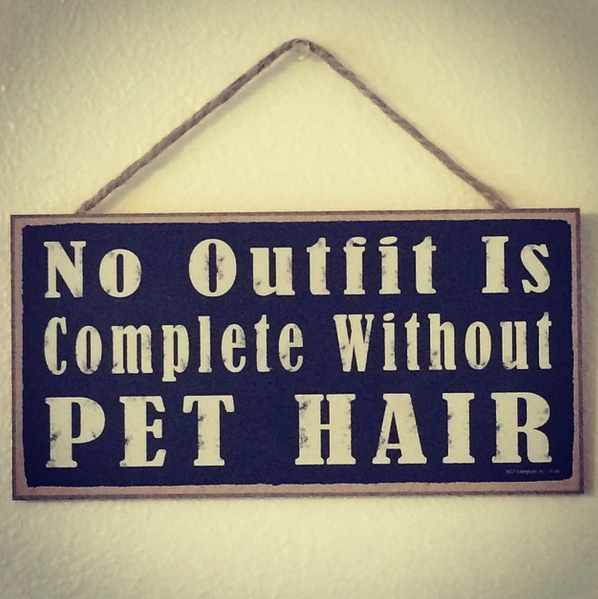 Dog hair is both a food and an accessory. And a condiment. 4. You empty your vacuum every time you use it because it gets full. 5. You own at least one de-shedding tool, probably a Furminator, and you wonder whether they even work. 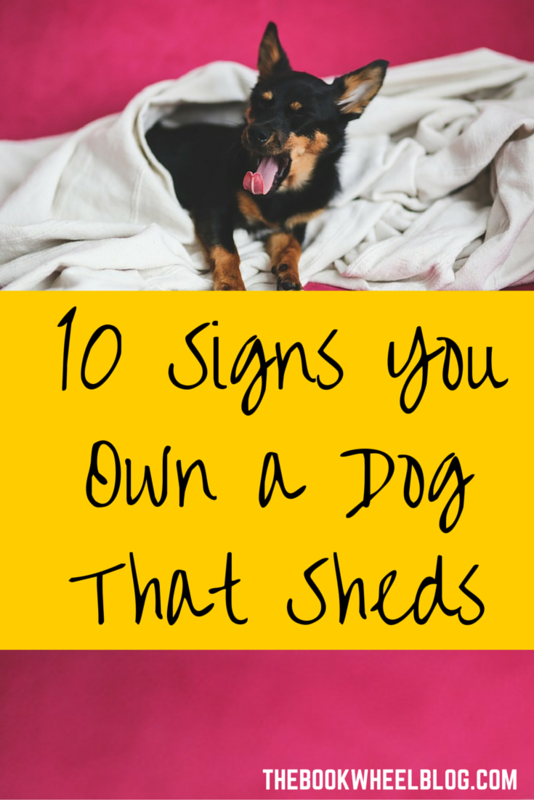 You may have even tried to vacuum your dog after a glass of wine, much to their dismay. 6. You try to sneak out the door when you leave for work so that you can avoid the love-fest that will require you to lint roll yourself all over again, even though you’ll have to do it the minute you get out of your car at work, anyway. 7. If you have a white dog, you’ve pulled its hair out of your own head thinking it was a gray, then thrilled when it wasn’t. Yes, this is on my wall. 8. The Otterbox is no match for your dog. EVERYTHING can be infiltrated. 9. You dread something getting your dog’s hackles up because you know it will be followed by a body shake that will throw hair everywhere.